One of the most interesting cities in the central United States, Oklahoma City is a mix of modern and old-fashioned styles. The city embraces its heritage and history while boasting emerging cultural districts and vibrant sophisticated neighborhoods. Among the most-visited sites in the city is the Oklahoma City National Memorial, which honors the victims of the 1995 Federal Building bombing. The facility features a Reflecting Pool, Survivors’ Wall, Memorial Fence, and the Field of Empty Chairs with 168 bronze chairs representing the number of people who lost their lives during the tragedy. Oklahoma City has no shortage of quirky and unique attractions as well, including the American Banjo Museum, the Museum of Osteology, and the National Cowboy & Western Heritage Museum. Other popular spots in town include the Oklahoma History Center, the State Capitol building, and the Chesapeake Energy Center, home of the NBA’s Thunder. 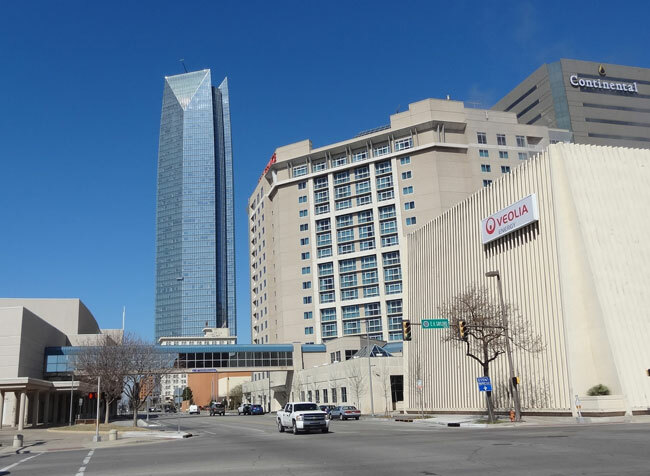 In terms of land area, OKC is one of the biggest cities in the U.S., so if you’re looking for an Oklahoma City hotel, you have a lot of options, depending on which part of town you’d like to stay in. As you conduct your hotel search, you may want to consider staying at one of these top boutique hotels. With 367 rooms and suites, the Biltmore Hotel Oklahoma offers comfortable accommodations, free parking, and wi-fi. The Biltmore takes pride in welcoming pets, so don’t be shy about bringing along your puppy. Located in the heart of a busy shopping district, the Biltmore is surrounded by more than 30 restaurants within a three-mile radius. Those interested in seeing downtown OKC may want to consider booking a room at the Colcord Hotel. The Colcord is just a 10-minute walk from the Oklahoma City National Memorial and Museum, Myriad Botanical Gardens, and various other attractions. 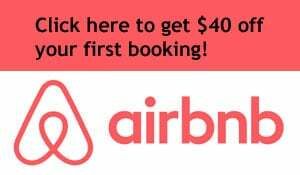 Amenities include shuttle service throughout downtown, upscale bath products, and coffee and a cookie provided each day. Guests at Governors Suites receive a free hot buffet breakfast. They can also enjoy indoor and outdoor pools, a whirlpool, an exercise room, and cable tv. The property sits right off the busy I-40 expressway just two miles from Will Rogers World Airport, so it’s a good option for folks flying into the city. The independent boutique hotel has a popular atrium suitable for both business and leisure activities. The Holiday Inn Express Hotel & Suites Oklahoma City Northwest is near Frontier Park, the popular amusement park with a western theme and rides like the Steel Lasso suspended coaster and the Quick Draw dark ride. This Holiday Inn offers free perks like parking, breakfast, daily newspaper service, and a small fitness center. Looking for a slightly different hotel experience? The Isola Bella Hotel provides short and long-term housing in furnished apartments in the northwest side of Oklahoma City. Guests at Isola Bella enjoy the property’s large rooms and fully equipped kitchens. The location inside a gated community provides an extra level of comfort and security.